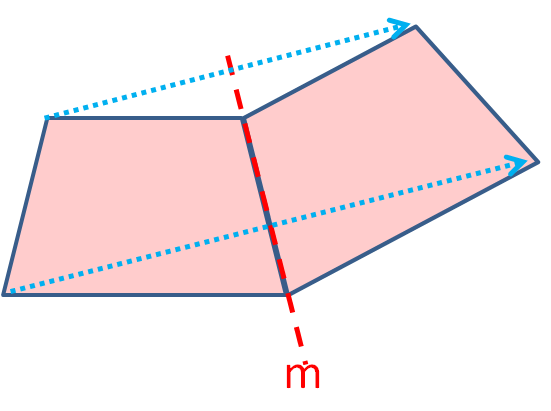 In this worksheet, students must complete shapes so that they are symmetrical in the given slanting line of symmetry. 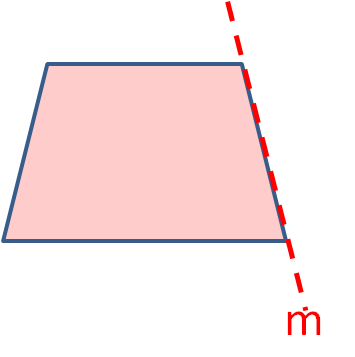 In this worksheet, the lines of symmetry will be slanting. 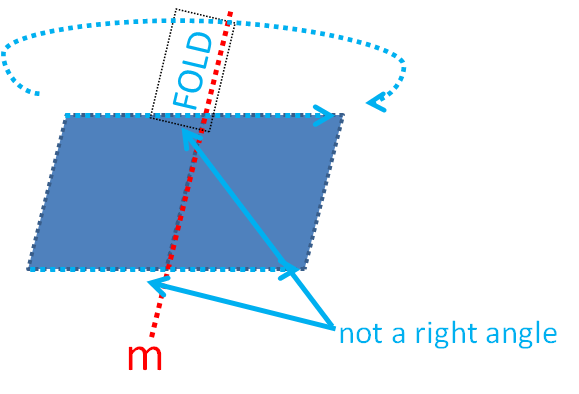 Make sure that you reflect carefully. 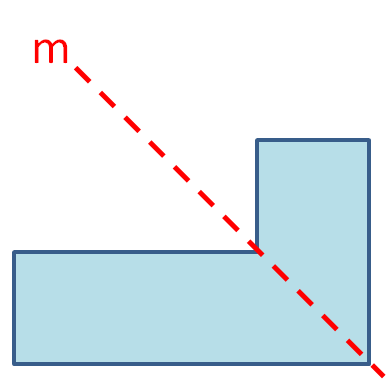 Each corner moves in a direction which is at right angles to the fold. 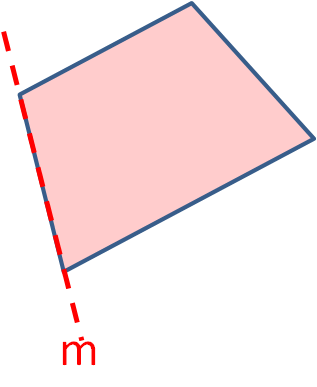 Notice that the blue lines are at right angles to the red line of symmetry m.
The next shape has been completed WRONGLY. 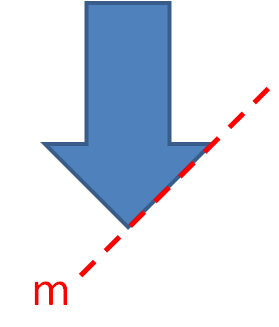 Notice that the blue lines are NOT AT RIGHT ANGLES to the red line of symmetry m.
This is how it should be completed. 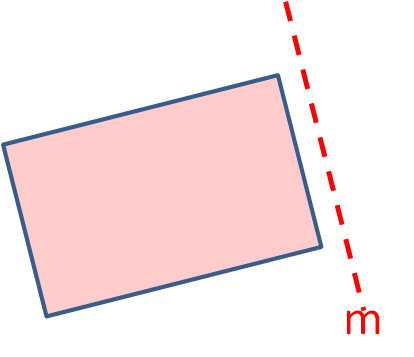 There is no gap between the mirror line and the rectangle. 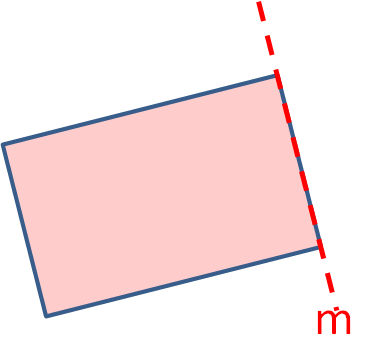 There is no gap between the mirror line and the trapezium. 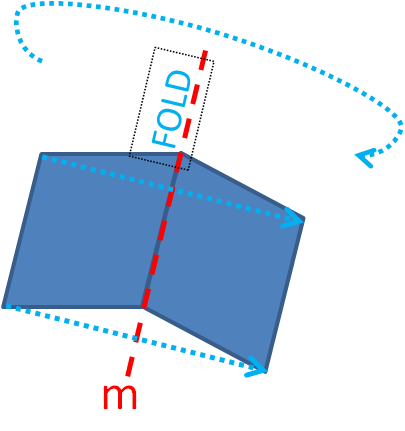 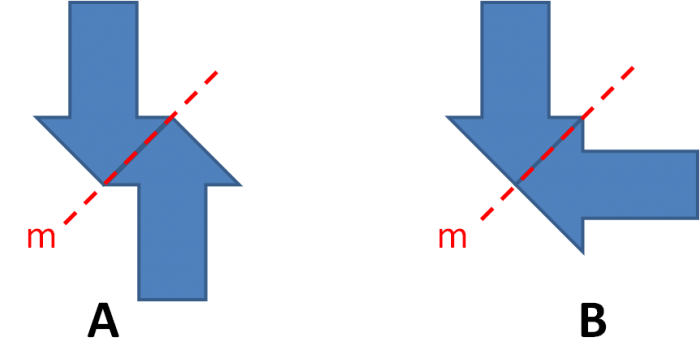 The direction of the fold must be at right angles to the mirror line. 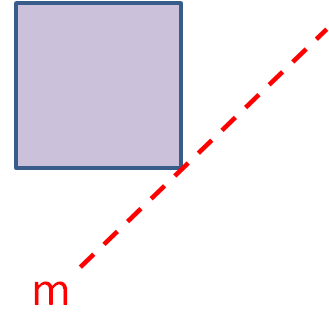 The two short sides match and the two long sides match across the mirror line. 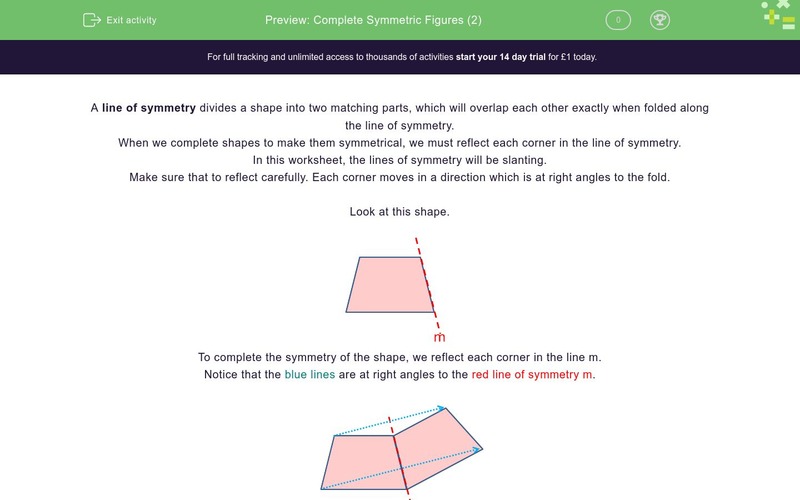 Answer B is symmetrical whereas Answer A is not. 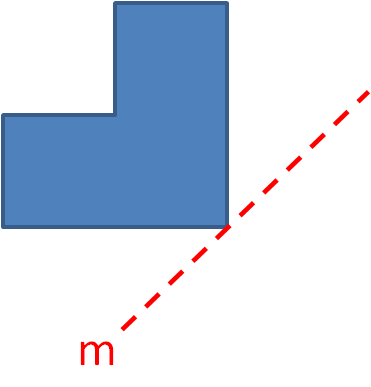 The distance between the two shapes and the mirror line must be equal all along the length. 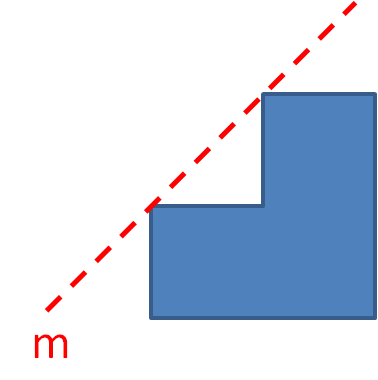 Shape B is symmetrical whereas Shape A is not. 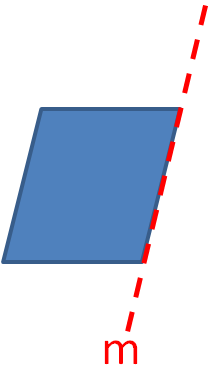 Shape A is symmetrical whereas Shape B is not. 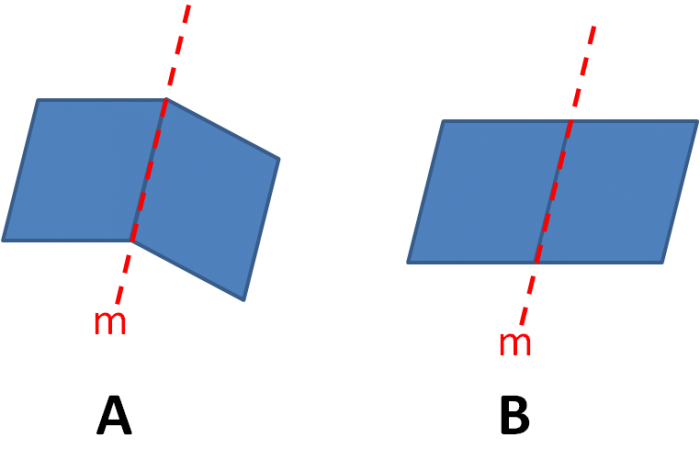 Shape B is symmetrical and overlaps the original shape, because the line of symmetry actually goes through the original shape.